Level-5, the Japanese video game developer and publisher known for such works as Professor Layton and Ni No Kuni, has announced their acquisition of Comcept, the studio which was created by former Capcom employee Keiji Inafune. Comcept was mostly made up of former Capcom employees that had worked on past Mega Man titles, as well as the more recent Ninja Gaiden titles. This merger will serve as a subsidiary of Level-5 and will retain these Comcept developers. 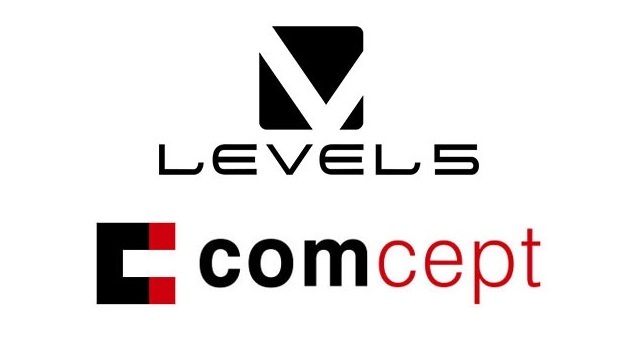 Level-5 has acquired Comcept, and the subsidiary is now known as Level-5 Comcept, the latest issue of Weekly Famitsu reports. • From around the time we worked together on Guild 02, there have been talks about doing something together. • To easily describe it, Level-5 Comcept is a company that combines the philosophies of both companies. • It is a new company with the base staff of Comcept and the involvement of Akihiro Hino. • Level-5 Comcept is a subsidiary of Level-5. To paint a picture, instead of receiving instruction and then working on a title, it is a place where the Comcept team and Hino will make games together. • Level-5 Comcept is based in Osaka. In the future, they want it to play the role of Level-5’s Osaka studio. • Currently, Level-5 Comcept is made up of about 15 people, who are mostly Comcept members, but they want to gradually recruit staff from here on. • The goal is to make games that show that they’re in the league of Inafune. The first game by Level-5 Comcept is an iOS and Android title called Dragon Colonies, which is due out in Japan in 2018. It is set in a world where various races, including humans, magic beings, and large beasts, live together. It features dice-shaped, miniature garden colonies called “Hacolonies,” which players can freely build up. The focus is on player-versus-player battles and building the strongest Hacolony. You will become stronger by establishing facilities and placing dragons on five of the six Hacolony sides to act as weapons. One side of the Hacolony has a crest, which by uniting with an enemy Hacolony becomes a battlefield. Battles are real-time, and victory goes to the first player to destroy the enemy’s Hacolony.